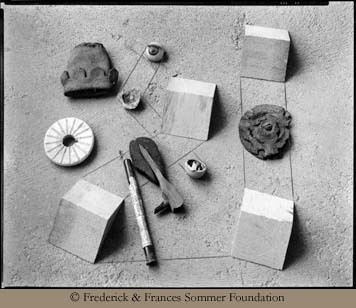 This drawing was made spontaneously by Sommer on a proof of the assemblage photograph commonly referred to as ‘Objects.' He had a visitor, who was flirting with purchasing a beautiful and available print of this image. The visitor, although inspired, could not understand his attraction and needed help reading this elegant map.